A dynamic 11-day culinary celebration of locally sourced foods. 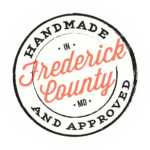 All participating restaurants will have a special Farm-to-Fork Frederick menu made using 70% Frederick County grown and raised farm foods. Savor the Local Flavors of Frederick County’s own farmers, and celebrate the chefs that bring them to you from these farms, to your fork!